There are many wannabe moms wanting to know the chances of pregnancy after a miscarriage. I know full well that it’s not an easy decision to make for many families to try again for a baby, as the shock and upset of a miscarriage can run deep into the mind for a long, long time. On the other hand, some families want to immediately try again and put their sad loss behind them. In either case, there will no doubt be questions that you want answered and what I’m going to attempt to do in this article is to answer some of the more common questions I’ve come across. Why am I still getting signs of pregnancy after a miscarriage ? Many women complain that they actually still feel as though they are pregnant after they have miscarried with morning sickness, sore breasts, and tiredness being common. It’s a sad fact that your hormones will take a while to return to pre-pregnancy levels – but they will do after a month or two. Can a pregnancy test be positive after a miscarriage ? Yes it can. The pregnancy hormone HCG can still be in your body for around 3 weeks after you have miscarried (even longer if the pregnancy was quite well advanced). What are the chances of having a healthy pregnancy after a miscarriage ? There is certainly hope for women, who have miscarried previously, to give birth to a healthy baby. Some stats show this to be as high as a 75% chance – and that’s even in women who have had multiple miscarriages in the past. Of course, that figure still might spook some families. However, there is much you can do to ensure the odds are firmly stacked in your favor. What can I do to help avoid a miscarriage in the future ? Depending on your reason for miscarriage, which you can read more about in this article : Causes of Miscarriage, there is a lot you can do to help yourself to have a successful pregnancy after a miscarriage. And it really is about taking your health to the next level. Make sure you have a very healthy diet – even consider visiting a nutritionist – and eat as organically as you can. Try to eliminate those pesticides. Be careful when using cleaning fluids and sprays. Wear a mask and use in a well-ventilated area. Do not smoke, and avoid people and situations where smoke is in the air. Do not drink alcohol – at all….. It’s not a health drink !!. Read though my 100 tips for getting pregnant, which starts with eating tips here : 100 Tips For Getting Pregnant. I appreciate that the above set of ‘rules’ are very tough for someone in today’s society, but you have to do what you have to do, right ? How long should I wait before attempting another pregnancy after I’ve mis-carried ? Doctors usually suggest that you wait for at least one menstrual cycle before trying to get pregnant again. This proves that your body is back to normal. However, I would tend to leave it for about three months – just to really make sure. And also, three months will give you time to get your emotions back in order as well. You do not want to be trying to get pregnant whilst still stressing from your miscarriage. Please read this article on stress and infertility for further guidance, but always take the advice of your doctor. Also, consider joining a support group. I have an article on support groups here : Infertility Support Groups. What is the next step I should take if I want to try for pregnancy again ? I would urge you to take professional help before going any further. Browsing the internet can lead to some worthwhile information, but also some bad mis-information as well. On this site you will find some very good tips, but even I will admit that I’m not medically trained – just someone with a lot of experience in this field. However, you will see from browsing the product review section of this web-site that I have reviewed a number of professional pregnancy products. By far the best for someone desperate in having a healthy pregnancy after a miscarriage is Pregnancy Miracle, by Lisa Olson. This is a home study course that has been tailored for women who are looking to get pregnant after a miscarriage. And, it has a track record of moms (even in their 40’s), who have given birth following previous miscarriages. 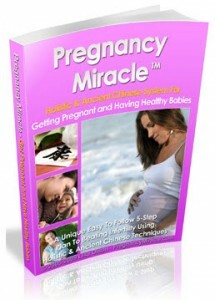 I have done a full review of the course here : Pregnancy Miracle Review, or you might want to go directly to Lisa’s web-site by clicking on the book below. Whatever route to decide to take, there is hope for moms looking for a healthy pregnancy after a miscarriage, but you do need to take some positive action. Endless searching on the internet will just leave you frustrated (as happened to me three years ago). It’s only when I took planned step-by-step CONSISTENT action that I finally saw results. Thank you for visiting my Pregnancy After a Miscarriage article, please feel free to share this with your friends using the social links below. Thank you for visiting my Causes of Miscarriage article. When first told about a miscarriage, it can often be a confusing and very stressful time for a woman and her family. She might have been advised the reasons why she has miscarried, but never really understood the problem, or what was being said to her. In this article (one of the most difficult, upsetting, ones that I’ve had to write), I will look to tackle this very complex issue and look to break it down into understandable segments. I could quite easily write a 50 page document on the issue, and still not cover everything off. But I appreciate that readers don’t really want all the science – they just want to understand what they might have done wrong and (more importantly) how to avoid the causes of miscarriage in the future. So, I’m going to focus on 5 reasons why women experience miscarriage, although there are of course many more. The good news is they are all treatable. These mainly happen to women over the age of 35, although it can potentially happen to women of any child-bearing age. In the 1st thirteen weeks of pregnancy, 60% of miscarriages occur as a result of issues with the chromosomes within the embryo. Very often, the mom does not even know that she is pregnant. Genetics can play a part, but mothers over the age of 35 with aging eggs also suffer. If you want to be positive about it, consider it as nature’s way of ensuring that only the most fit and healthy eggs are selected for the full term of pregnancy. Tissue samples can be taken immediately after the miscarriage to see if chromosome issues were the cause of the miscarriage. On a first miscarriage, however, no tests are done as chromosomes are automatically assumed to be the problem. Next on my list of causes of miscarriage are issues with the cervix or uterus. The cervix may be weak (and therefore not able to hold the embryo), or the uterus maybe out of shape (leading to the embryo not having enough room). Early labor can be brought on by either of these conditions. However, both of these causes of miscarriage (which will continue if left untreated) can be resolved with surgery. Unfortunately, sometimes it’s the moms or dads own body that rejects the fetus, which is the reason behind a miscarriage. The embryos blood supply can be blocked if blood clots are formed in the placenta. A blood test can trace the presence of the antibodies that cause this (known as antiphospholipid antibodies) and a blood thinning agent can be taken, to reduce any risks. The father’s genetics can effectively attack the baby. The immune system of the mother is designed to block this, but can allow it through if the mother and father’s genetics are too similar. If this happens then an abortion can result. However, there are a few centers that can undertake fetal-blocking antibody tests. Lupus can result in anti-bodies being formed against the mom’s body. The good news is that Prednisone can be used to treat it. However, it is a powerful drug and only given as a last result. Progesterone deficiencies are another cause of a miscarriage. This can result in the lining of the uterus being shed prematurely, along with the embryo. Blood tests and biopsies from uterine tissue samples can help detect the issue and supplements taken for hormone balancing. Aids, German measles, malaria and syphilis can all be causes of miscarriage and need to be monitored and treated. High temperatures caused by fevers should also be treated as soon as possible. Is there anything I can do to reduce my chances of a miscarriage ? Yes, and it’s all about staying fit and healthy. I have produced an article on Pregnancy After a Miscarriage which you might want to read. In addition, I have reviewed a number of pregnancy products, and the one that fits the bill for women that have had one (or a number of) miscarriages is “Pregnancy Miracle”, by Lisa Olson. You can read by review of the program here : Pregnancy Miracle review, or if you would like to go directly to Lisa’s official website, then please click on the image below. Whatever route you decide to take, I do wish you all the best with your future family planning. I do know how hard it can be if you have suffered with a miscarriage. Stay positive, there can be a bright future for you. I sincerely hope you found this article on identifiable causes of miscarriage helpful. Please feel free to share with anyone that might need this information, using the social media links below. Welcome to my endometriosis and IVF page. You may have already been told that endometriosis scars your reproductive system and it can also create tube blockages as a result of abnormal growths outside the uterus. All of this can lead to difficulties in getting pregnant. First you might want to watch this excellent short overview video on endometriosis. Many people mistakenly believe that IVF is a cure for endometriosis, or that it even reverses it. This is not true. 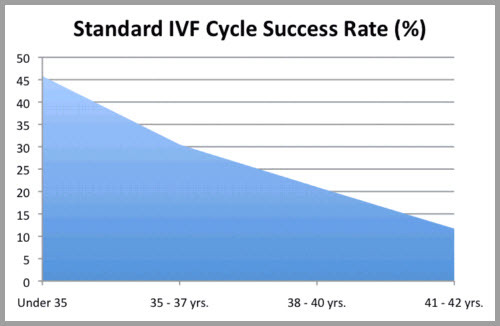 IVF merely works around the problem. Diagnostic Laparoscopy is a surgical procedure whereby the doctor will take eggs from you and fertilize them in the lab, together with your partner’s sperm. Once fertilized, the eggs are placed back into your uterus using a catheter. That will be enough to get me pregnant right ? Well, although it’s a good start, you shouldn’t rely on this procedure. There are still things that can go wrong. Unhealthy eggs and sperm, can still lead to a miscarriage, and although a fertilized egg is placed back in the womb, there is no guarantee that it is going to embed itself in the womb. If you are having difficulties in getting pregnant for whatever reason, then you need to make sure that you are leading a fit and healthy life-style. 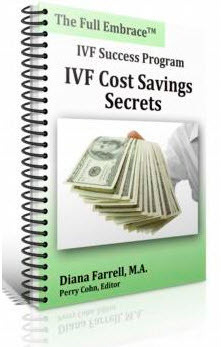 There are risks with IVF, as well as costs, so you do not want to have to go through the procedure again and again. 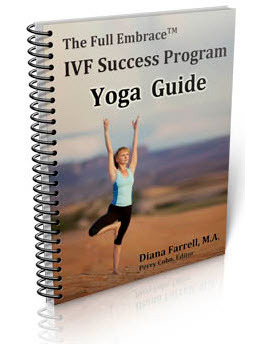 With that in mind, I would fully recommend you consider alternative therapies to compliment your IVF treatment. The idea of this therapy is to provide you will fragrant smells, which will stimulate the body’s natural defences. Homeopathy is considered a very safe method with no side effects. A thorough review of your personal and sexual history is undertaken before the treatment commences to ensure the right extracts are provided. There are many believers in this system who claim great results in treating infertility. This is another well-known treatment, which has swept across the western world in the past three decades. Specific parts of the body are pierced with needles – sounds painful ? It’s not, and the side effects are very minimal. The idea of adding acupuncture to IVF treatments is that is relaxes the woman (which is a major plus point for ANY treatment being administered). Studies have shown that 50% of women who undertake acupuncture with IVF actually get pregnant. It also appears to reduce the rates of miscarriage. 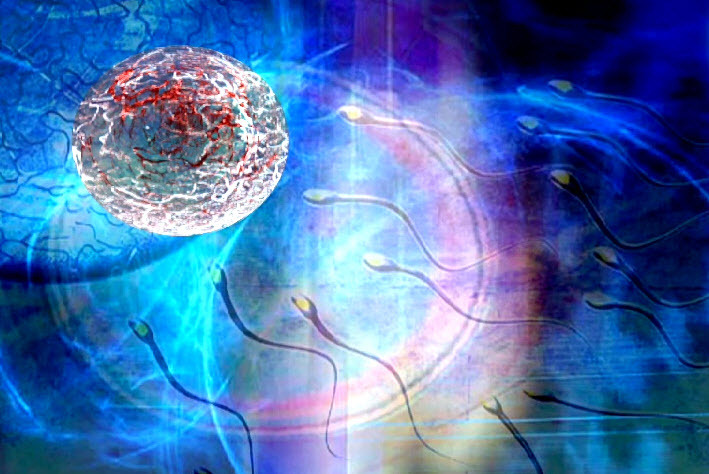 Male fertility can also be improved with acupuncture. One of these ways it does this is by increasing sperm count through improvements in blood flow to the pelvis. This is another treatment that goes hand-in-hand with endometriosis and IVF. Similar to the acupuncture treatment mentioned above, certain areas of the body are targeted. This time, however, it does not rely on you being prodded with needles, but instead pressure is applied to certain areas of the body – particularly the feet and toes. The whole purpose of reflexology is to release stress. This, in turn, releases the feel good hormone (endorphins), which promotes better blood-flow, and stabilizing hormonal imbalances. Again, this treatment is free from any side effects. As with any therapy, or treatment, it is always best to confer with your doctor first and make sure that any treatment is administered by a qualified practitioner, to ensure maximum success and minimal harm. The three alternative therapies I have mentioned above will obviously cost you money and unfortunately some of these alternative / complimentary treatments are not cheap (especially if you have a series of them). You could be looking at a couple of hundred dollars before you start to experience any real benefit. 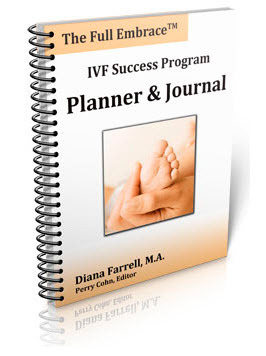 Therefore, as a starting point, you might want to consider a course developed by Diana Farrell, called the IVF Success Program. 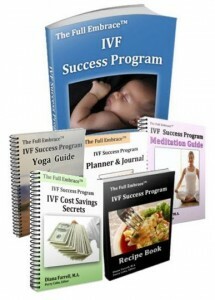 I have done a full review of this course here : IVF Success Program review. Or you might want to visit Diana’s web-site directly from the following link (Please click on the image below). 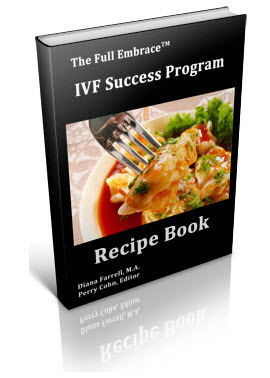 If you are looking to maximize the benefits of your IVF treatment, then Dina’s course is in a league of its own and well worth looking into. I hope that you found this article on Endometriosis and IVF helpful. Please feel free to advise your friends, using the Facebook & twitter links below.